(i) Swarms: The following are 'chainable' Pokemon that appear only when swarming. Their encounter rate is fixed at 40%. #016. Pidgey / Route 229 / Lvl 51. (ii) Dongle Insertion: The following are 'chainable' Pokemon that require GBA game insertion. All occur at 8%, unless stated, and may be found at any time of day at these frequencies. (iii) The following are 'chainable' Pokemon that appear only in Diamond. Pokemon that *only* appear with use of the Pokeradar are highlighted with "Gold patches" at the end of their entry. (iv) The following are 'chainable' Pokemon that appear only in Pearl. Pokemon that *only* appear with use of the Pokeradar are highlighted with "Gold patches" at the end of their entry. (v) Trophy Garden Events: The following pokemon occur at 5% and are triggered by a daily event. Their levels are either 16 or 18 and are available in both Diamond and Pearl versions. (vi) Remainder pokemon: These pokemon occur naturally without triggering an event, insertion of GBA game into the dongle or belong to a specific game. Pokemon that appear *only* with the Pokeradar are highlighted with "Gold patches" at the end of their entry. #422. Shellos West / Route 205 South / Lvl 8-10 / 45%. #436. 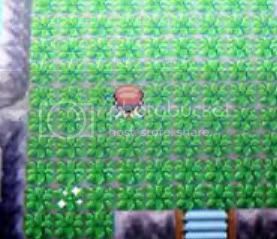 Bronzor / Route 206 / Lvl 15 / 10%. I've been told about % encounter rate issues, more specifically those Pokemon chained with use of the Poke radar. It seems that Bulbapedia quotes these as 22% yet other sites, including psypokes and serebii say that 12% is the actual rate. If anyone can give me a good reason to use one set of values over another, let me know so I can change them all in one go accordingly. If anyone has any corrections or tips, for example, a pokemon that has the same encounter rate on another rate but has a better area in which to chain (e.g. due to space), please make a note of it in a comment and we'll edit accordingly. We hope this helps all you chainers, whether you do it for shinies, experience or for items. Last edited by Living Arrow on Wed Jul 23, 2008 12:54 pm, edited 5 times in total. stickied. thanks for your help. You actually made a Sticky! I'm glad i could help ya! Get your custom sprites,avatars and signatures at Froggy's Lilypad! Last edited by Bushin on Tue Jul 22, 2008 12:54 pm, edited 1 time in total. Just wondering, if you are using repels, does the lvl of your first pokemon affect the chances of the chain breaking? For example if you have a lvl 57 scyther in the first spot, and repel, and chain something like Ralts (lvl 4-6), will the chain be more likely to break? Thanks to you, Bushin Ok - I'll add in that Wobbuffet entry. No - the chain isn't any more likely to break. As long as your lead Pokemon is higher than any natives, the only reason the chain breaks will be due to the coding etc. 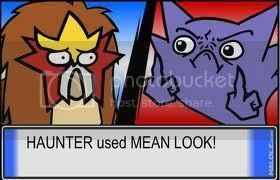 No,the only thing that repels do is keep all pokémon which level is lower than your leader pokémon away. It doesn't affects your chains whatsover...actually it's the repel that keep your chains from breaking with random wild pokémons. I wanted a guide like this for a LONG time. Thank you so much, Living Arrow and Bushin. Seeing as this is about chainables, could there be a little guide on chaining included? LIke all the "rules" and stuff about comtinuing the chain? Ugh. I really don't want to write a guide on how to chain... Maybe one of the other shiny hunters will at some point? erm, there already is. i learned how to chain from all the information gathered there, and im sure others have as well. Might want to mention about the insertions. I know that with Elekid, if you look outside the Valley Windworks, you will chain Mareeps. So, the pokemon you can change is really based on its specific chaining location. well obviously cuddles never notices the stickies!! everything you will ever need to know is in my sig. *Feels proud* - Now it has the Cuddles stamp of approval! Just wondering, are you guys going to update this for Platinum? Marill and Pinsir, for example, get different locations with a higher encounter rate. second: you should include tips about identifying shinys during radaring so ppl know what to look 4. It says Psyduck is available at Lake Acuity at 30%. Either my RNG is confused, or it's only while surfing that you can get it. I haven't found any there, anyway.